If your home needs a fireplace for both warmth and beauty, take a look at our Napoleon B35 Ascent Builder Series 35" Direct Vent Fireplace. It not only looks great and pumps out up to 20,000 BTUs of heat, it comes with electric ignition as a standard feature. But it offers so much more: adjustable heat and flame; lovely glowing embers; dual receptacle junction box; sleek glass door that resists overheating; and dual venting. Want to install it in your bedroom or living room? How about in the bathroom? Or in your mobile home? This model is designed and approved for use in all those areas. 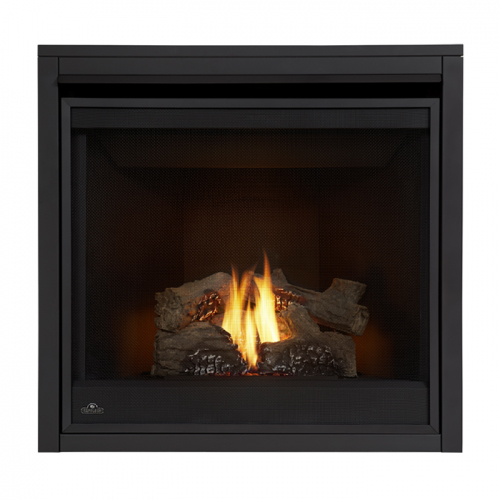 Is this Napoleon B35 Ascent Builder series 35" direct vent fireplace slim enough for diagonal use? This can indeed be installed in this fashion and framing instructions for a corner installation are found on page 30 of the installation manual.